The bottom mat is adhesive both sides, covered with a protection sheet. 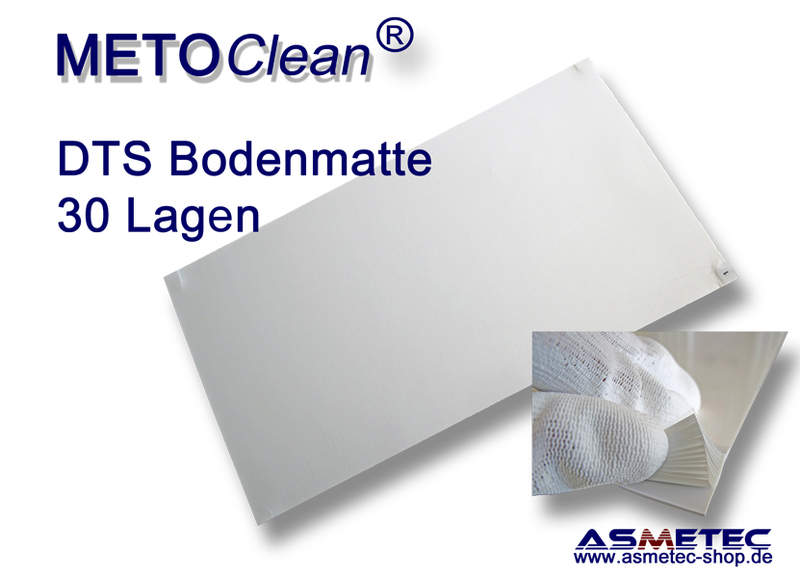 Remove the protection sheet and tack the floor mat in front of the door to the clean room. The single mats can easily be removed by pulling at the non-tacky edge which also shows the remaining number of layers in the book.